Kendra Kattelmann is a distinguished professor at South Dakota State University. 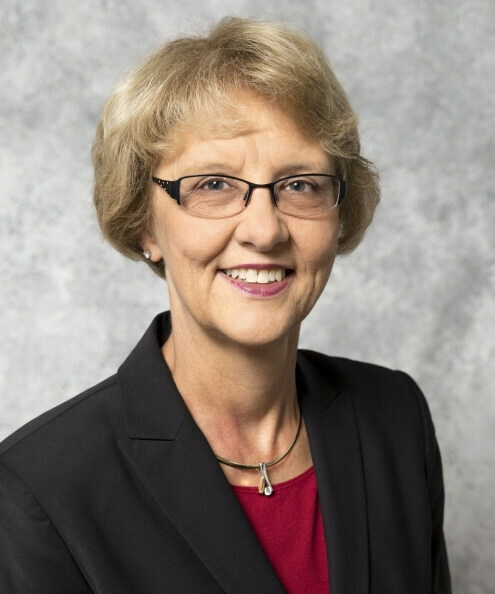 She is a registered dietitian and fellow of the Academy of Nutrition and Dietetics and serves as the director of didactic programs in dietetics in the Department of Health and Nutrition Sciences at SDSU. Kattelmann is active in research that focuses on diet prevention and control of type 2 diabetes and integrated interventions to prevent obesity in youth, particularly interventions focused on improving dietary behavior. She is active in Society for Nutrition Education and Behavior and is past president of the society. Currently, she is serving as treasurer of the SNEB Foundation and as member of the journal committee. Kattelmann is also actively engaged with leadership in the Academy of Nutrition and Dietetics. She serves as the house of delegates representative for Council for Nutrition and Dietetics Educators of Practice. She is a member of the appeals committee for Commission on Dietetic Registration and is a program reviewer for Accreditation Council for Education of Nutrition and Dietetics. Her teaching responsibilities include Medical Nutrition Therapy and Transition to the Profession for dietetics students.